I guess I’m getting old because I can no longer eat excessive amounts of sugary or rich desserts. This candy is sweet (it IS candy, after all), but nicely balanced with the spicy ginger, rum, and a generous amount of toasted, unsweetened coconut. Toast coconut in a heavy-bottomed skillet over medium heat, stirring constantly until the coconut begins to turn golden. 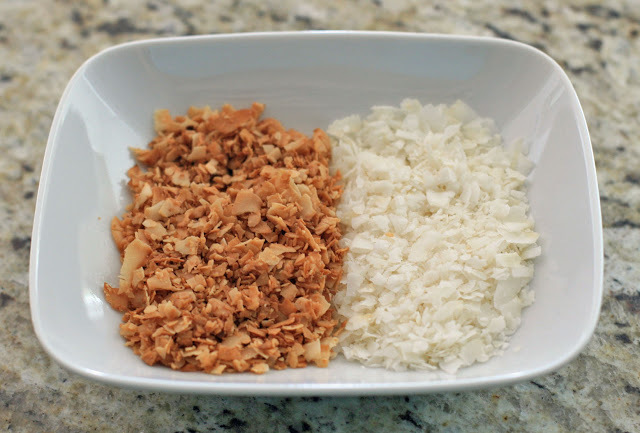 Mix 3/4 cup of the toasted coconut in a bowl with the rum, butter, and ginger. Place inside a warm, preheated oven. Combine the sugar and water in a heavy-bottomed saucepan over medium heat, stirring constantly until the sugar dissolves and the mixture starts bubbling. Stop stirring and continue to simmer until the mixture turns a light golden brown, swirling the pan if the edges begin to brown faster than the rest of the mixture. Pour onto coconut mixture and stir vigorously until well blended. Let cool 30 minutes and, using wet hands, form into small balls. 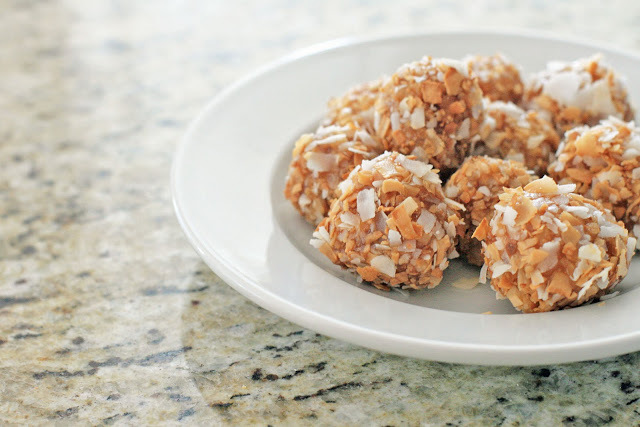 Roll the balls in remaining toasted coconut and refrigerate 1-2 hours until chilled. Note: I ended up using a mixture of both toasted and un-toasted coconut to roll the candies in. If you’d like to do the same, toast only 1 cup of coconut and then later add 1/4 cup of un-toasted coconut to the 1/4 cup of reserved, toasted coconut.